External: 31⁄4" x 133⁄4" x 153⁄4"
The color of the included boxes matches the color of the organiser. 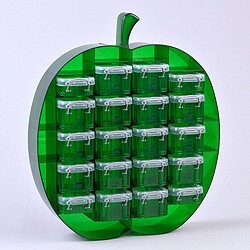 - A fun way to store small objects. - Freestanding or can be fixed to the wall.